Media Alert-Terrific New Piece About RicStar's Camp by SpecialNeeds.com! 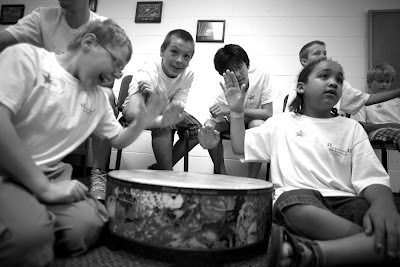 “Music therapy is a remarkably therapeutic tool that is used in a wide range of disabilities to help enhance social, physical, emotional, and behavioral skills in those individuals,” says Judy Winter, co-founder of the Eric “RicStar” Winter Music Therapy Camp in East Lansing, Michigan. Music therapy is a research-based treatment modality with proven efficacy in a variety of populations. Now in its 10th year, the Eric “RicStar” Winter Music Therapy Camp, also called RicStar’s Camp, has brought hope and positive change to hundreds of individuals and their families. RicStar’s Camp is a three-day camp experience in music therapy and movement for individuals with disabilities and their siblings. 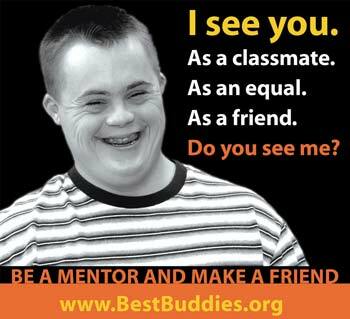 The “Buddy Up” program pairs campers without disabilities with their peers so they are able to learn from each other. “We hope that those individuals go back into their communities and use inclusion to model acceptance of differences and people who might not be the same as us,” comments Winter. The camp draws from around the state of Michigan, a few other surrounding states, and Canada. Winter says, “We are filling in a need that certainly has not been filled in this way before.” While the camp is full this year, there is a waiting list, and many other music therapists have expressed interest in starting similar camps in other areas. What makes RicStars different from other camps? 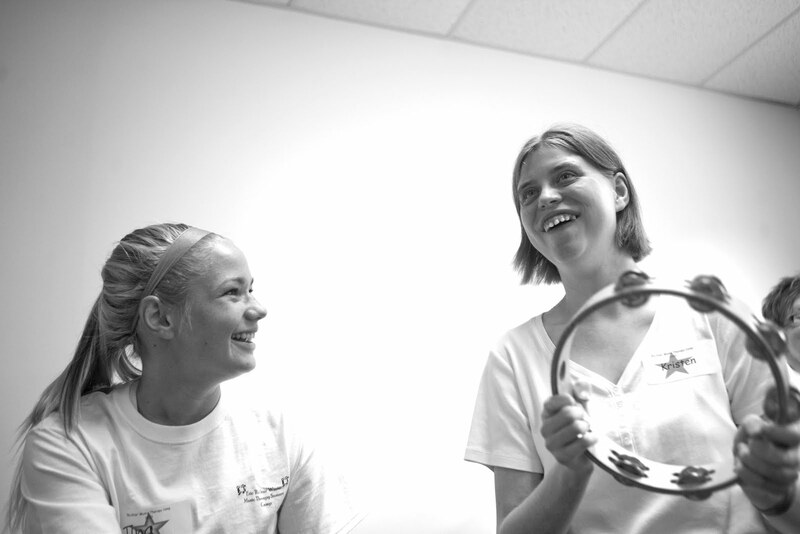 The use of music therapists, volunteers, one-on-one attention, and enjoyable and therapeutic music activities offers a unique perspective that is honestly not done often. Many campers return year after year, which gives Winter and the RicStar’s Camp staff the ability to see progress and success stories in their campers. “One camper, for example, couldn’t walk when she first attended camp. Yet through camp she was motivated to take part in an activity that required that she stand up, and she did. And now we see her walking into the camp doors every year. We have individuals with autism who speak for the first time. It’s pretty remarkable, and it speaks to the power of music therapy,” comments Winter. Winter and the RicStar’s Camp staff are supportive of music therapy and its amazing potential, and they are very happy to share what they know. Last week they received the 2012 Crystal Award from the city of East Lansing for going above and beyond the call of duty for improving quality of life in East Lansing, further proof they know what they’re doing and they’re making a difference. As RicStar’s Camp has dreams to set up other camps in Michigan (the MSU outreach program in Detroit is first on the list), music therapists in other states are welcome to inquire about how they could begin their own camps. “We would love to see this in the future as something that could be done in other communities and should be done in other communities. We are really proud of the fact that we do it really well and that we’ve lasted 10 years. It’s a popular camp and it’s life-changing for many families and individuals with disabilities,” says Winter. Winter also mentions that people come up to the staff at the end of the camp with tears in their eyes and say the camp is the most important part of their year. “That speaks volumes about what we do and I hope others can learn from our example and provides these kinds of opportunities for this population because they deserve the not only the opportunities but also the recognition,” says Winter. Visit the Eric “RicStar” Music Therapy Summer Camp website for more information about volunteering or starting a music therapy camp in your community. 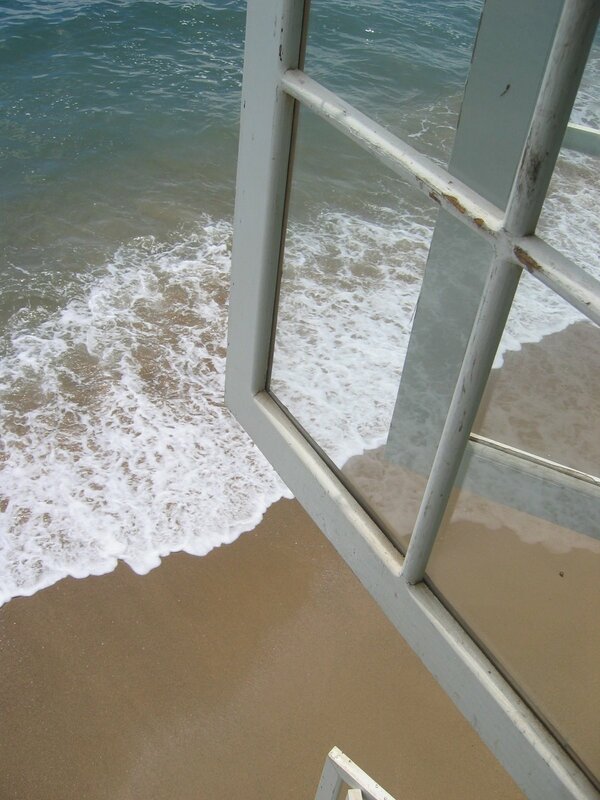 Visit Judy Winter at JudyWinter.com and her blog, Winter Ramblings. You can also purchase her book, Breakthrough Parenting for Children with Special Needs on her site, bookstores, and online retailers. 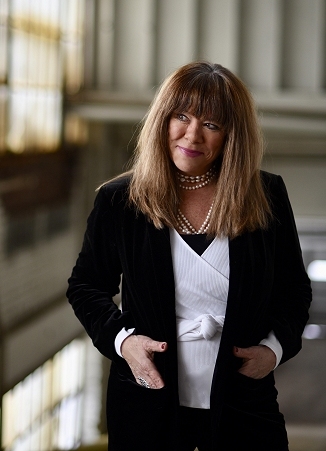 Photos by Judy Winter and Erik Taylor. Crystal Award photo courtesy of the City of East Lansing. Patience with me, please, as I try to figure out all the new Blogger changes. It's slowing down my posts, and messin with my creative brain as I try to find out new ways of doing the same old things (older dog/newer techno tricks). Bad combination. Why does everything always have to change, especially technology? Most families hate the staring their children and they endure when they venture out in public. It can and does keep families from going out at all. Been there. Done that. That's not okay. I've shared my column/tips on staring before, but given the on-going prevalence of this unnerving issue, here it is again as reprinted on Terri Mauro's popular special needs site at about.com. When it comes to staring, shake it off and venture out. Your child, and you, deserve to move about in public freely. The more you do this, the less of a novelty your children with special needs will become, and the easier it will be for you to ignore the stares. Plus, you never know why someone is staring. Advocate. Advocate. Advocate. Educate. Educate. Educate. And then, take a nap and get ready to jump the next hurdle. 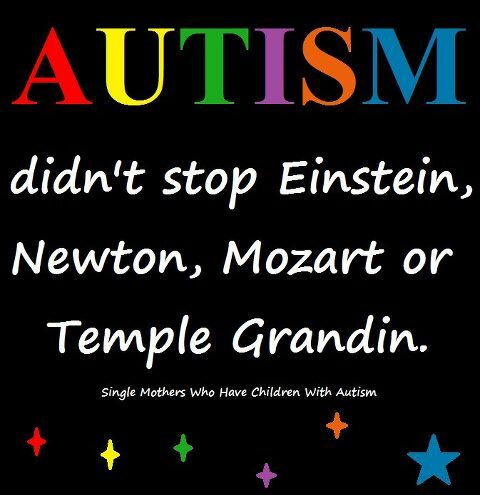 Images courtesy of Design by Raven Muse, the mom of an 18-year-old with autism. You can get a ribbon there, too. Actor, John C. McGinley of the television program Scrubs, is an ambassador for the National Down Syndrome Society (NDSS). 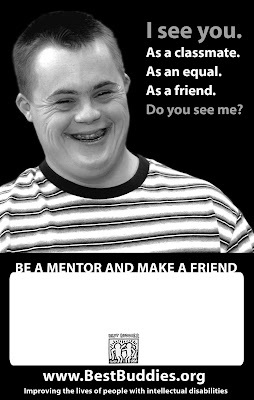 Watch his PSA on behalf of Special Olympics and call for the end of r-word use, here. Then, please join us both in signing the pledge. Respect is a much better word. Here's my post briefly stating why I support this effort. Watch Circle of Friends video 'Disable the Label' here. Courtesy image. Used with permission. I can't wait to watch Oprah's (OWN) travels to India, a country that fascinates me. I want to go, too, but for now, I'll happily armchair travel courtesy of O. Part 1 airs next Sunday, April 22 at 9 p.m. and Part 2 airs Sunday, April 29th at 9p.m. You betcha I'll be watching. I'll also continue to travel to this complex and intoxicating country by savoring my stash of Vogue-India and its cool website. Such beauty, grace and style. Fashion with smarts. Oprah's Next Chapter schedule here. KUDOS CVS Caremark ALL KIDS CAN -Play Ball!! More kudos for CVS Caremark All Kids Can, which continues its solid and impressive commitment to helping kids with special needs live fuller lives. CVS Caremark has launched its eighth season partnering with the Boston Red Sox on a special series of baseball camps for Little League Challenger teams, Miracle League teams and inclusive baseball teams. The CVS Caremark All Kids Can Baseball Camps provide New England children with disabilities an action-packed, dream-fulfilling experience playing ball at Fenway Park and getting batting tips from Red Sox Batting Coach Dave Magadan. The camps are part of CVS Caremark’s national philanthropic All Kids Can program, which focuses on helping children with disabilities learn, play and succeed in life. Coaches of New England baseball teams for children with disabilities are encouraged to complete an application for a spot at one of nine camps. To be eligible for a 2012 Camp, applications must be submitted by May 1. Now, I've got to figure out how to get them to do the same with my beloved Detroit Tigers. Autism: the Musical by Tricia Regan, follows five kids with autism as they prepare to perform in a musical, live. The Emmy Award winner aired yesterday on the Oprah Winfrey Network (OWN), and I missed it. But you can see the promo here. Reminds me of the end-of-camp Be-A-Star Showcase at RicStar's Camp. Another important read from Dr. Temple Grandin, popular author and speaker on autism. 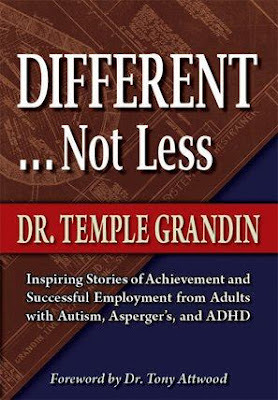 This work includes inspiring success stories of adults with autism, Asperger syndrome and Attention Deficit Hyperactivity Disorder (ADHD). At the Christopher Reeve Foundation, April is NeuroRecovery Network Month. Find out more, including reading some inspiring paralysis recovery success stories, here. Push Girls, a new program produced by Gay Rosenthal for the Sundance Channel about four Hollywood models who use wheelchairs, sounds promising, especially since Rosenthal also created the popular 'Little People. Big World.' I'll be checking it out when they give viewers a sneak peek tomorrow, April 17th at 10 p.m. ET. The program debuts June 5th. Special note: three of the four women acquired their disability due to auto accidents, a sobering reminder that disability can happen to anyone at any time (not to mention the real dangers of distracted drivers and driving while drunk). Now, if we could just get the media to quit using the outdated terminology 'wheelchair bound,' (and 'confined to a wheelchair'). People don't live in wheelchairs. They use them to get from Point A to Point B. A special needs activist's work is never done. Find out more about 'Push Girls' here. Tina, one of our terrific BuddyUp teen volunteers with camper, Kristen. Focused on ability. Celebrating a Decade of Stars! Shout out to my friend, the talented artist, Daniel Svoboda, who has autism. His whimisical drawings, called Imagifriends, are headed to the University of Virginia to be displayed for Autism Awareness Month. D.J., now 24, created the imaginary friends to deal with on-going bullying he experienced while in school. Now Daniel's career is on a roll. This image is an adorable custom Imagifriend Daniel made for me. See more of his work here. Focused on ability, and one terrific talent. Courtesy Image. Used with permission of artist, D. J. Svoboda. In honor of the tenth year of my favorite summer camp, I will be featuring weekly photos from campers from RicStar's Camp, the amazing music therapy camp that honors my son's life and legacy as it changes lives. Music Therapy rocks, in more ways than one, and so do the campers. Celebrating a Decade of Stars! For all my friends in Michigan, and those who want to make the trip, here's info on the 2012 Michigan Victory Games held May 17th thru May 20th at Michigan State University. 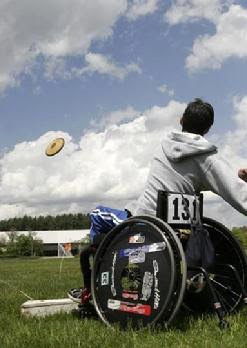 "A competitive sporting competition for athletes with various abilities." Might just have to grab my camera and go! Obesity, diabetes and high blood pressure linked to autism? Important breaking news, since this is something people can do something about. Heard a great piece this weekend on NPR's All Things Considered regarding technological advances involving cochlear implants and correcting deafness. 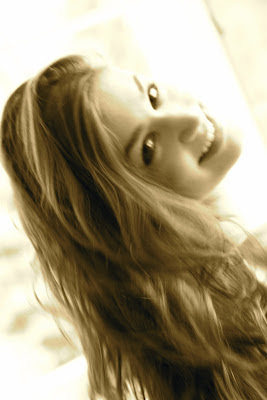 Read Cochlear Implants Redefine What it Means to Be Deaf, here. Opening up the world with invaluable technological advancements. Still, not without some dissension in the deaf community. This year, the delicate and fragrant Easter Lily had to share holiday center stage with these magnificent, robust sunflowers. I like mixing up the predictable, and I love diversity. May your lives be filled with spiritual blessings and abundant chocolate, and in my case, lots of coconut creme eggs. Reminder-Deadline is this Friday, April 8th! Get busy creating!!! Calling all Young Artists with Special Needs!!! Two of my fav resources, CVS Caremark’s All Kids Can CREATE program and VSA (the international organization on arts and disabilities) have again joined together to offer the 5th annual opportunity for young artists to see their work in action, and on display for all to see. This year’s theme, What Inspires Me?, invites children to showcase their answers through original artwork. 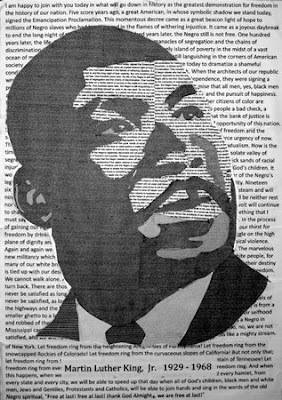 Appropriately enough, the contest kicked off yesterday on Dr. Martin Luther King, Jr.'s birthday. Artwork submitted before April 8, 2012, (click here) will be featured in an online gallery and considered for display in the “What Inspires Me” exhibition debuting at the Dr. Martin Luther King, Jr. Memorial Library in Washington, D.C. in August 2012. One hundred and two pieces of art―two from each state and the District of Columbia―will be part of the exhibition. Last year’s call for entries resulted in more than 4,700 submissions from across the country and featured paintings, photography and sculptures. 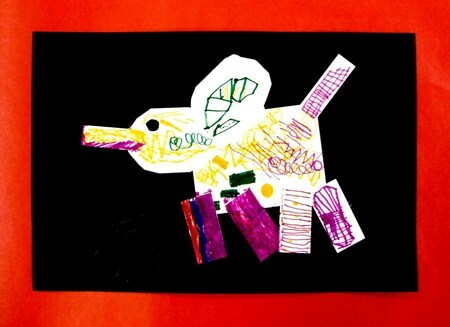 Children are invited to stretch their imagination by using traditional art materials as well as non-traditional ones, such as wrapping paper, newspaper or aluminum foil. In addition, teachers who submit their students’ artwork are eligible to receive one of four $1,500 cash awards to use in their classrooms. 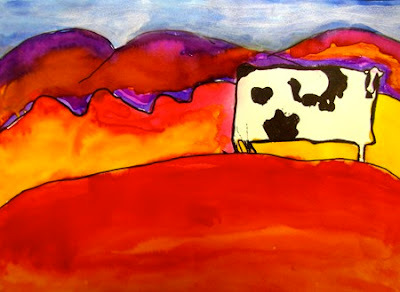 The deadline for the 2012 All Kids Can CREATE Call for Art is April 8, 2012. To submit artwork, click here. You know I like this stated mission, so get busy expressing your creative self and help change perceptions about what artists with special needs CAN do. All Artwork from 2011 contest courtesy of CVS Caremark. All Kids Can. Used with permission. Taking Fido to Work Good for Health/Productivity?